If delivering an excellent customer experience is important to you, this ebook will show you how to get it done. Customer experience will take centre stage in the business landscape in 2018. Over the decades, technology has put unprecedented power in the hands of customers. They can now dictate the rules for purchasing goods and services. 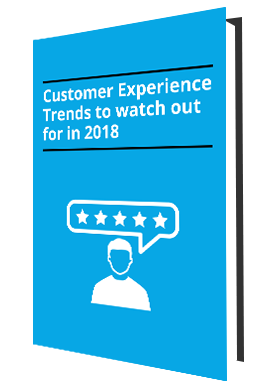 In this ebook, we bring you the latest trends for the year 2018 which will form the crux of your customer experience strategy.